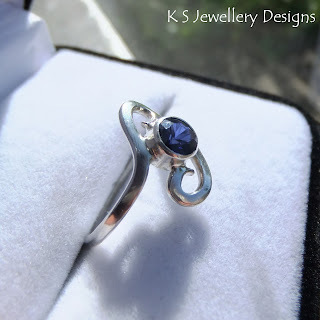 This ring was an engagement ring I made for a customer. 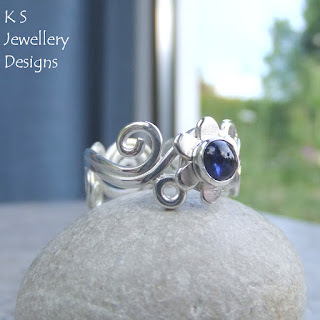 He specified that he wanted a kyanite gemstone with a flower setting and allowed me to freely create the swirly design. It was so much fun making this ring as I started with a basic sketch and then added extra swirls and circle to balance the design and to add strength. Another engagement ring where my customer wanted a simple swirl setting with a sapphire which is his girlfriend's birthstone. The sapphire is set in a tube setting. This ring design came about when I was exploring the idea of 'one ring fits all sizes'. This adjustable ring band is not soldered closed but is a bit like a spring. It can be stretched larger or squeezed smaller. It is ideal for fingers with larger knuckles as it can be placed on the finger and then lightly pushed around to fit. 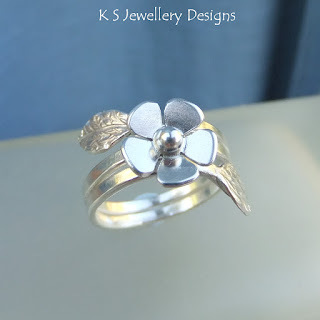 Another adjustable ring with a flower and two leaves. 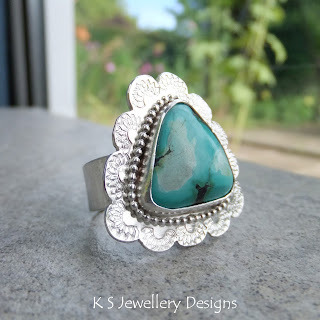 A recent addition to my ring designs where I have been exploring adding hand stamped textures. A 'big and bold' ring, not for the shy ring wearer! 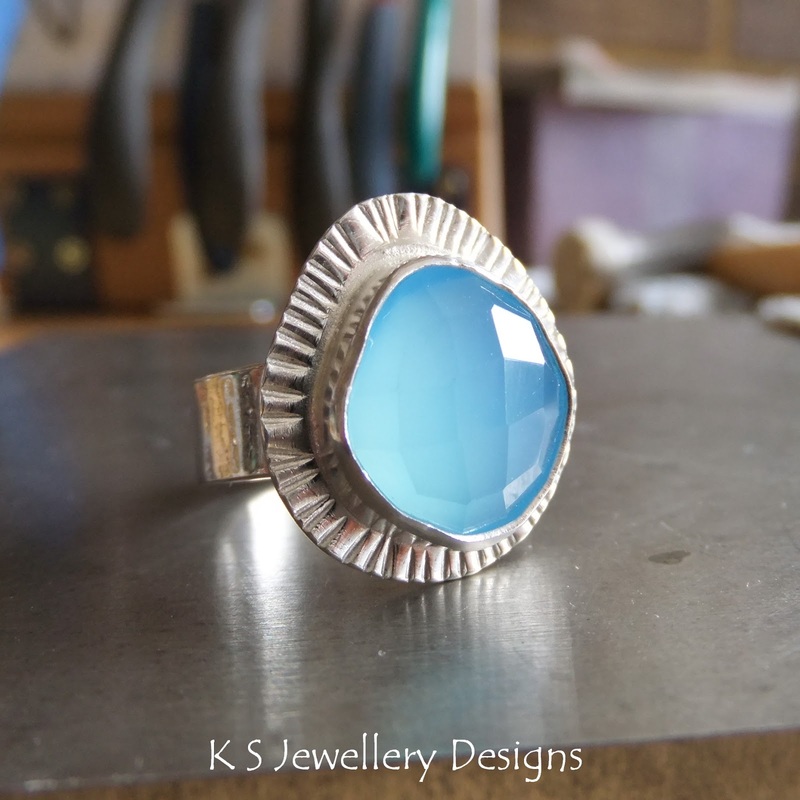 This ring measures 2.5cm across and I have stamped around the bezel setting and given it a scalloped edge. Another bezel set ring. The faceted blue chalcedony gemstone is an irregular shape, so I gave it an irregular shaped striped patterned setting. 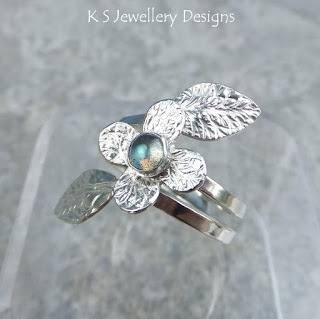 Some of these rings can be found in the 'Rings' section on my website either as 'made to order' or 'ready to send' items.